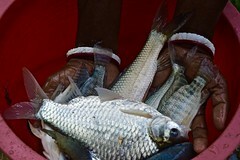 Today, fish provides more than one billion poor people with most of their daily animal protein. Fish provides nutrients and micronutrients that are essential to cognitive and physical development, especially in children, and are an important part of a healthy diet. 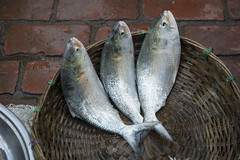 As an affordable animal source of protein in some of the poorest countries, fish is the primary source of nutrition, creating growing demand for this staple. However, fish supplies are failing to meet demand and there are major shortages in some critically poor countries where they are needed most. Globally, more than 250 million people depend directly on fisheries and aquaculture for their livelihoods and millions are employed in fisheries and aquaculture value chains in roles such as processing or marketing. The very poor often rely on fishing as a primary source of income. 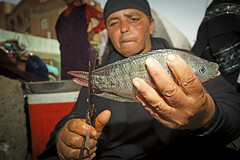 These small-scale fishers are particularly vulnerable as fish stocks diminish. Increased productivity from sustainable fisheries and aquaculture can be a driver for rural development by mitigating risks to livelihoods and contributing to income generation and employment. Improving the productivity of fisheries and aquaculture is vital to reducing hunger and poverty for millions in the developing world. Sustainable, productive fisheries and aquaculture improve food and nutrition security, increase income and improve livelihoods, promote economic growth and protect our environment and natural resources. A sustainable approach to fisheries and aquaculture will help to protect our natural resources and ensure that fish stocks are available for future generations. Currently, overfishing, ineffective management practices, industrial development and agricultural pollution have reduced fish stocks. While sustainable fisheries management is a challenge, solid global and regional governance of these vital resources will ensure that we can produce enough fish for those living in poor regions. Aquaculture, in particular, has tremendous potential to enhance food security and be environmentally sustainable. 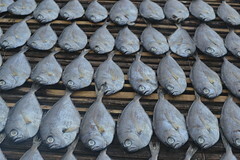 Small-scale aquaculture is especially important for meeting the world’s growing demand for fish. As fish require a smaller environmental footprint than other animal source food, aquaculture is a more environmentally sustainable option for meeting the world’s food needs than other animal source foods. "Fish provides more than one billion poor people with most of their daily animal protein."